Will a tax on soda end tooth decay? The city of Philadelphia has proposed a 3-cent-per-ounce tax on soda and sugar-added beverages, potentially raising the cost of these drinks up to 60%. This goal of this sin tax is twofold: lower the incidence of obesity and diabetes, and provide money for universal public kindergarten. The government says the tax is the best way to reduce consumption of sugary beverages, while the soda industry says education is the answer. I'm wondering, how will this effect tooth decay? Everyone knows that drinks high in sugar cause tooth decay. But what they may not know is that any food or beverage high in acid does the same. How is this possible? Acidic foods and drinks weaken the enamel of your teeth, and with repeated exposure, cavities develop. This is nearly the same way sugar destroys your teeth. Except with sugar, the normal bacterial residents of your mouth eat the sugar you consume and produce an acid byproduct that destroys your teeth. For more on this, check out the American Dental Associations video on Cavities. What is the dental takeaway on this political issue? Sugary and acidic beverages should be consumed in moderation. Repeated exposure to these substances will destroy your teeth, no question. What you should take extra time to look out for are "sugar-free" products that can actually be highly acidic. For example, while Diet Coke is "sugar-free," it actually contains phosphoric acid, a potent acid that can be highly destructive to your teeth. I ask my patients to follow a rule. The only drinks you should have between meal times are plain water, black coffee, or plain tea (no cream or sugar). If you want a sweet drink, consume it at meal time and never take it along with you. Not very exciting, but it works. Many of you have asked about the new celebrity trend, oil pulling, and I took a look at the research. What scientific evidence did I find on this practice? Surprisingly little. For those who haven't heard, oil pulling is an Indian folk remedy advocating the daily swishing of edible oil for twenty minutes. The supposed benefits are improved oral and systemic health. There is very little data evaluating the practice of oil pulling. This is odd, since it's considered an ancient practice. Fluoride has been around since the 1940's and we have thousands of experiments proving its effectiveness and safety. Only eleven studies are available that actually test the oil pulling remedy in the mouths of humans (sources listed at end). Does oil pulling cause receded gums to grow back? No, that is a total lie. Oil pulling should ABSOLUTELY NOT replace brushing and flossing in your oral hygiene regimen. To do so would be detrimental to your oral health. Anyone recommending otherwise is flat wrong. If you like the taste of the oil, use it as a mouthwash for 20 seconds or less. The literature suggests that it can reduce cavity-causing bacteria in your mouth after eating, so a brief swish here or there would be fine. Note that you can also achieve the same effect with plain water, especially fluoridated tap water. DO NOT leave the oil in your mouth for extended periods of time for risk of affecting your normal flora. No mouthwash (prescribed, over the counter, or all natural) should be used for 20 minutes. effective oral care treatment. " Bekeleski G, McCombs G, Lee Melvin W. Oil Pulling: An Ancient Practice for a Modern Time. Journal Of International Oral Health [serial online]. September 2012;4(3):1-10. Asokan S, Emmadi P, Chamundeswari R. Effect of oil pulling on plaque induced gingivitis: A randomized, controlled, triple-blind study. Indian Journal Of Dental Research [serial online]. January 2009;20(1):47-51. Hebbar A, Keluskar V, Shetti A. Oil pulling - Unraveling the path to mystic cure. Journal Of International Oral Health [serial online]. December 2010;2(4):11-14. Laughter L. Web Weaving. Just what is oil pulling therapy?. Rdh [serial online]. April 2011;31(4):64. Accessed March 15, 2014. Effect of oil pulling on Streptococcus mutans count in plaque and saliva using Dentocult SM Strip mutans test: A randomized, controlled, triple-blind study. Journal Of The Indian Society Of Pedodontics & Preventive Dentistry [serial online]. March 2008;26(1):12-17. Saravanan D, Ramkumar S, Vineetha K. Effect of Oil Pulling with Sesame Oil on Plaque-induced Gingivitis: A Microbiological Study. Journal Of Orofacial Research [serial online]. July 2013;3(3):175-180. 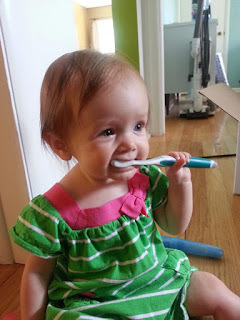 Help young children with brushing. The American Dental Association recommends parents brush their children’s teeth until age six. My policy is that until your child can cut his own meat at mealtimes, you need to help him brush. Front teeth are used to pronounce a number of sounds, including “S”, “Th”, and “F”. The proper position of the tongue when swallowing is developed around the position of the front teeth. A child with missing or severely decayed front teeth is at risk of developing a speech impediment or tongue thrusting habit. According to the Wall Street Journal, more adults than ever before are getting braces. 1.2 Million adults got braces this year! To me that's great news, as more people are considering their dental health. Watch this video to learn about trends in adult orthodontics. As reference, you can check out my previous post about adult orthodontics, or visit my practice website to learn about the adult ortho I provide at South Court Dental Medicine. Adults looking to straighten their teeth can now get the smile they have always wanted – in just six months – through a cosmetic-braces system available at a Medina dental practice. 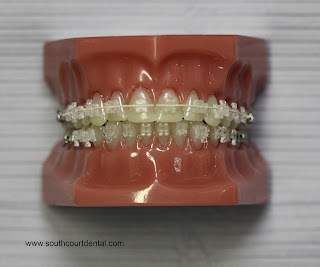 Using a revolutionary orthodontic system called Six Month Smiles, Dr. Kate Cartwright, of South Court Dental Medicine, is removing the barriers adults typically face when pursuing orthodontic treatment. “Adults want straight front teeth,” says Dr. Cartwright, “but don’t get the orthodontics they need because of time, cost, and the appearance of metal braces. With Six Month Smiles, we can change all that." 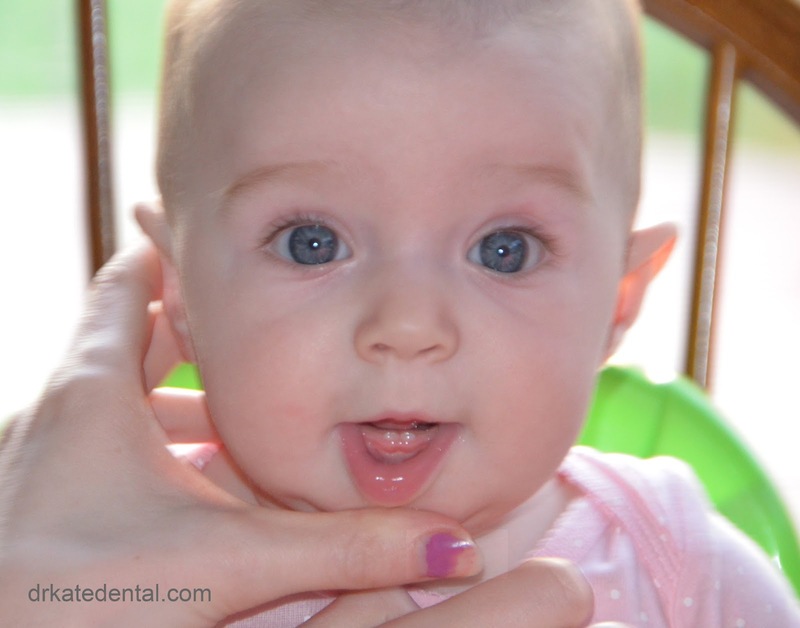 The Six Month Smiles technique offers tremendous advantages over traditional metal braces. Unlike traditional braces, this procedure straightens teeth in an average of just six months and uses low forces to comfortably move teeth. The Six Month Smiles system utilizes specialized clear brackets and tooth-colored wires, making them virtually invisible. Finally, the procedure requires fewer dentist visits and is typically less expensive than traditional braces. 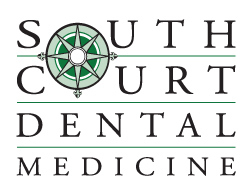 South Court Dental Medicine (www.southcourtdental.com) is located at 1063 South Court Street in Medina, Ohio—just south of the historic Medina square. Dr. Kate Cartwright earned her degree from Case Western Reserve University dental school and was further trained in residency at the VA Hospital in downtown Cleveland. 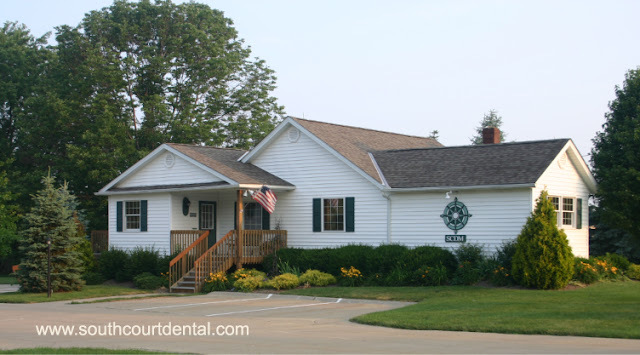 As a general dentist, Dr. Cartwright provides dental services to patients of all ages.